He just can't keep his fingers out of his nose, which is a big problem for the tiny pixies who mine his 'nose gold' to keep their cities running. The Nose Pixies return to their kingdom with empty handkerchiefs night after night. And unless their luck changes, they'll be out of a job ... or worse! David Hunt is the bestselling author of Girt (Black Inc), which won the 2014 Indie Award for Non-Fiction and was shortlisted for the NSW Premier's Literary Awards and the ABIAs. 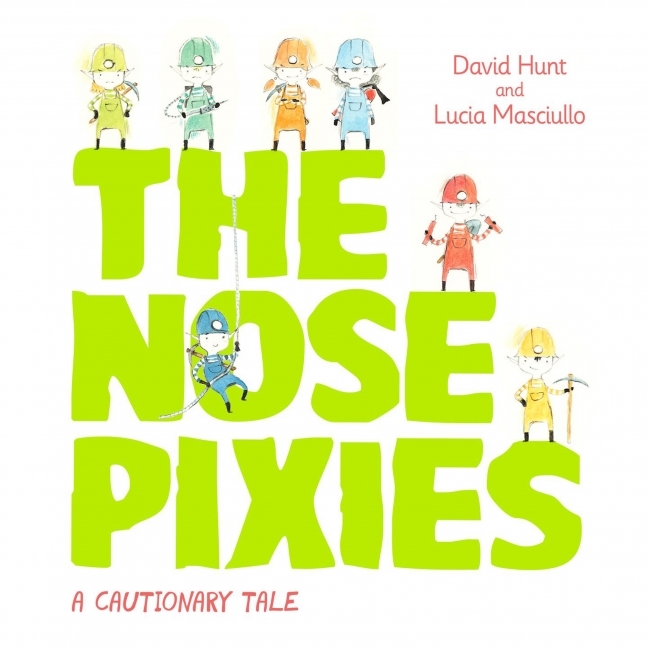 His first book for children, The Nose Pixies, was released in 2016, while his next picture book, My Real Friend, is due in May 2019. Lucia Masciullo grew up in Livorno, Tuscany and she moved to Queensland in 2006. Since then she has become a much-loved, award-winning Australian illustrator. Her books include The Boy and the Toy, Come Down, Cat, The Wild One (all with Sonya Hartnett) and Olive Of Groves trilogy (with Katrina Nannestad). The Hole, with Kerry Brown, was published in 2018, and My Real Friend (her second collaboration with David Hunt after The Nose Pixies) is due in 2019.